Q: What are the most recent milestones at the five-story KA office building? 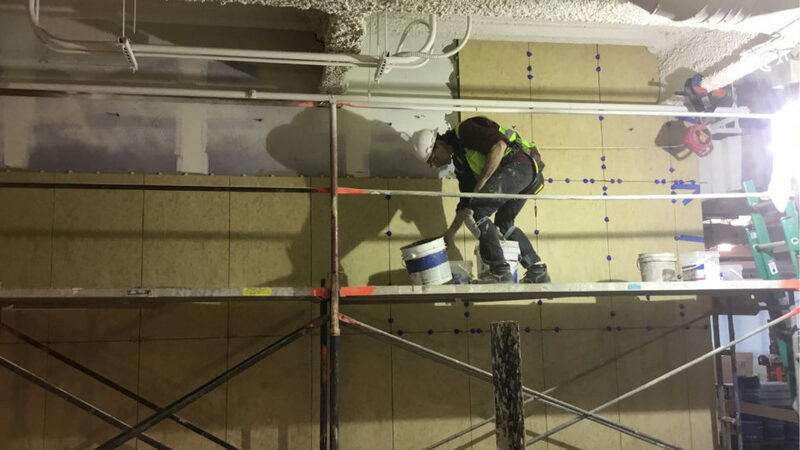 TERRY COLEMAN, PROJECT SUPERINTENDENT, KA OFFICE BUILDING: Ceiling grid is going into offices and conference rooms on levels 2-4. 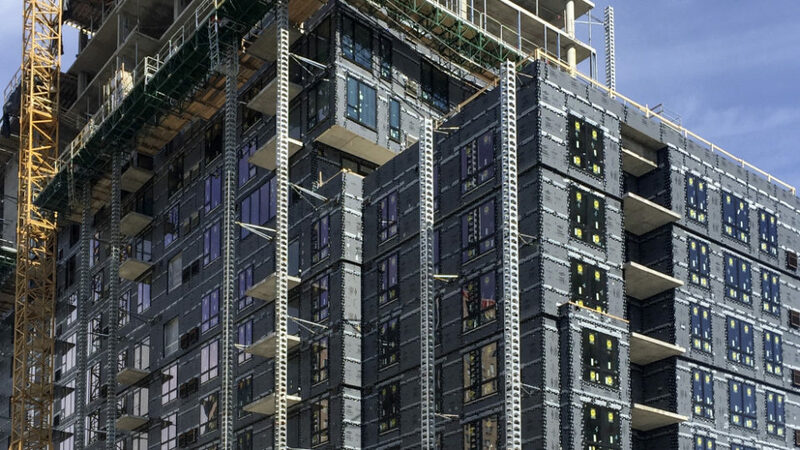 The roof top units were placed April 22. Watch video Also the tile at Stair C is 2/3 complete. Restroom tile on 2 and 3 are grouted with toilet fixtures going in. Q: What’s happening with the two levels of underground parking? 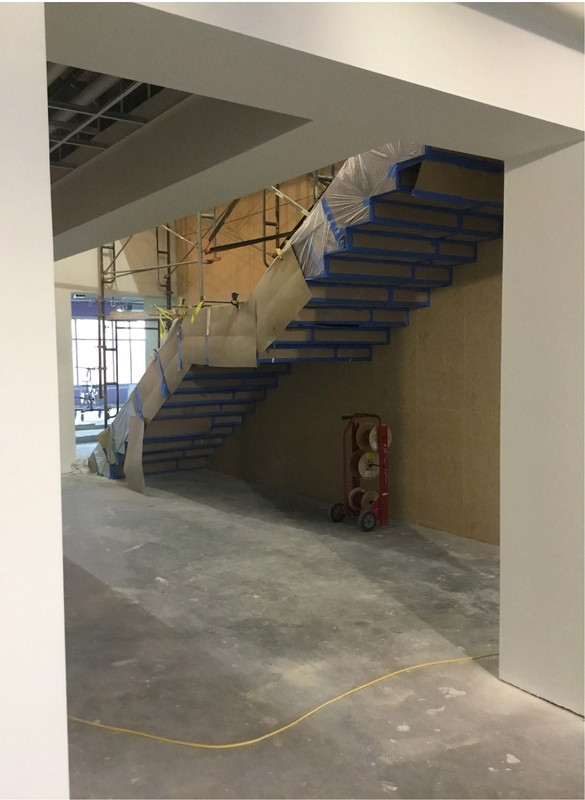 CHAD REMPE, PROJECT MANAGER, KA BLOCK: With the arrival of spring we’re starting to ramp up completion of the ramp interiors to accommodate our October 2017 move. Q: What’s the status of preparations for the Finnegans building? CHAD REMPE: Kraus-Anderson Development, Kraus-Anderson Construction and ESG Architects are working closely with Finnegans to complete the design of Finnegan’s House. Structural steel shop drawings are in progress in preparation for steel erection to begin in July 2017. Listen to the MPR interview with Finnegans CEO Jacquie Berglund. What’s happening now at the HQ Apartments? 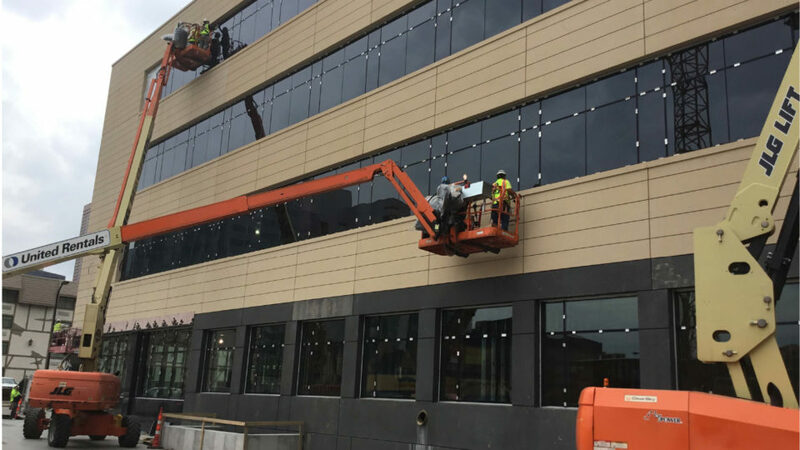 CHRIS KNUTSON, PROJECT MANAGER: Exterior: Main roof complete in May; Fully enclosed mid-May (sheathing and windows); metal panel production starts mid-May; brick façade completes end of May. Interior: Framing in progress L11-L14; Drywall and taping in progress L3-L6; Unit Finishes starting on L1.